What Is An Immediate Care Clinic? 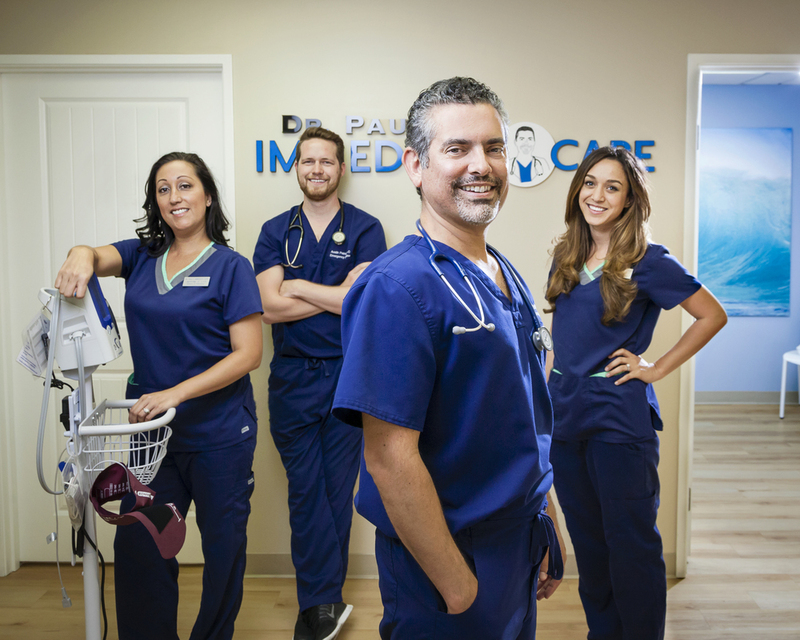 Walk in to Dr. Paul's Immediate Care and feel the difference in customer service and patient advocacy. Many people refer to us as an Urgent Care Clinic, however, we are so much more. Dr. Paul's Immediate Care is an ER Physician owned, full service, walk-in medical clinic. Dr. Paul's Immediate Care, and ER trained team is prepared to handled the vast majority of illnesses and injuries outside of life-threatening. Open 7 Days a week, Dr. Paul's Immediate Care welcomes patients of all ages from infants to seniors. Dr. Paul's Immediate Care has on-site X-Ray, Labs, IV Hydration and Pharmacy. Let us care for you in one stop. Walk-In Today!